Just a few of the folks who fished a morning trip earlier in the week which produced good numbers of King Mackerel, Cobia, Yellow-tail Snapper, Rainbow Runners and other Jacks. Sharks continue to plague a few anglers by eating their fish either right after a hook up or just before the fish can be brought within gaffing range. 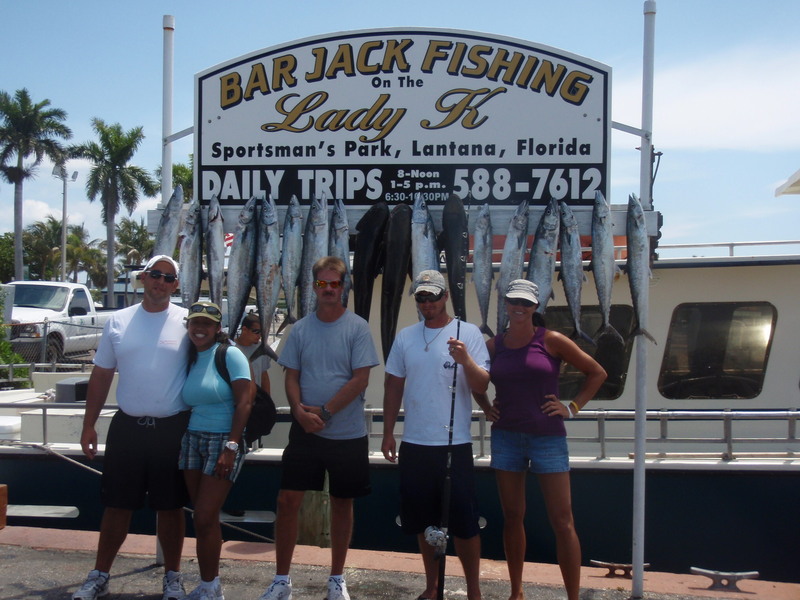 All three of our daily trips are producing quality fish so don’t delay and plan a trip today aboard the Lady K.